First a little history revision on the Caramulo museum - it is situated in the spa town of the same name, high in the hills of the Caramulo mountain range, about 120kms south east of Porto in Portugal. The art and car museum was the brainchild of the brothers Abel and Joao Lacerda, who loved their town and wanted to give it something that would attract visitors, and keep it alive, after the sanatorium that had been its main source of employment and income closed in the early fifties. The decision was made to open an art museum in a purpose-built building in the centre of the town. The new building was constructed around the cloisters of an old monastery, which were carefully dismantled in their original location and reconstructed in Caramulo. 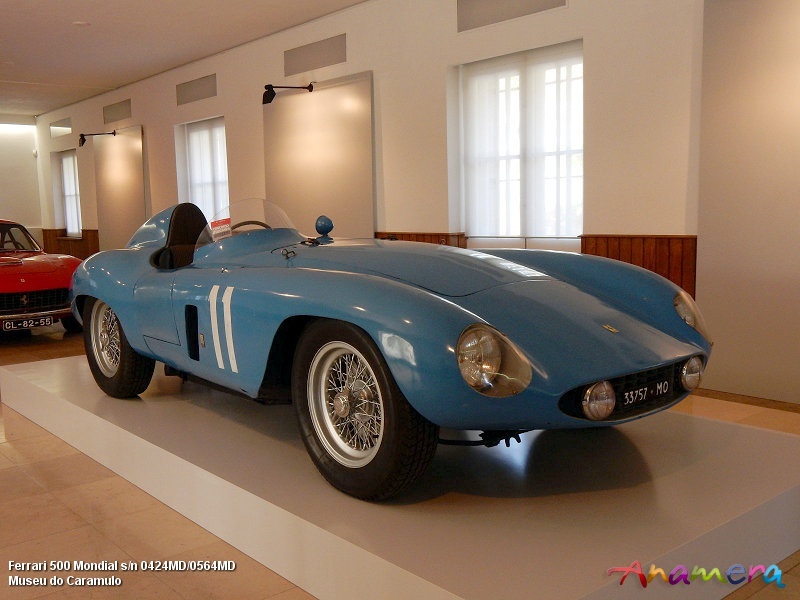 The younger brother, Joao, had a classic car collection, and as there was free space in the building, he decided to incorporate these into the museum, thus giving Portugal its first automobile museum, which opened to the public in 1959. Since then it has been a focal point for classic car enthusiasts in the country, and each year organises the Caramulo Motor Festival, which apart from classic car displays and entertainment around the museum, also features a competitive hillclimb on the winding road leading out of the town from the museum. The majority of the cars and motorcycles on display are owned by the Lacerda family, and most are displayed in an annexe to the main museum building, whilst there is also a room dedicated to miniatures, featuring a wide array of toys through the ages, predominantly cars and trucks, but also military figures, aircraft and games. The range of full size vehicles on display is eclectic, and includes a number of vehicles with interesting histories, like the 1937 Rolls Royce Phantom III that was used by Queen Elisabeth II in 1957, by General Eisenhower in 1960, by Pope Paul VI in 1967 and Pope John Paul II in 1982, during state visits. Another is a rare bullet-proof 1937 Mercedes Benz W-07 Pullman Limousine that was built for, but never used by, the then Portuguese President Oliviera Salazar, whilst there is also an ex-Portuguese government 1947 Cadillac Limousine, together with iconic models like the Mercedes-Benz 300 SL “Gullwing” and the Lamborghini Miura. To celebrate the 70th anniversary of Ferrari, the ground floor of the main museum building has been dedicated to a display of Ferrari models spanning the history of the company, with a small but select collection of cars carrying the famous Cavallino Rampante badge. They range from the Lacerda family’s 195 Inter Vignale Coupé, which was one of the first Ferraris in Portugal, and one that they have owned for nearly fifty years, through to a 599 GTB Fiorano, with along the way the likes of a 500 Mondial sports racing car and an example of the iconic F40. The Ferrari 70th Anniversary exhibition is scheduled to run until the end of October, but it has been such a popular attraction that they are hoping to extend it further, although this is still under negotiation. Therefore, before planning a visit specifically for this exhibition after this date, it is advisable to check with the museum to determine whether it is still running. The entry fee includes access to both the main museum building including the art collection on the first floor, together with the main part of the motor museum in the annexe, whilst there is also a specific catalogue on the Ferrari exhibition available for purchase at the ticket desk or in the museum boutique. Further details on opening times, entry fees and other facilities can be found on the museum website.